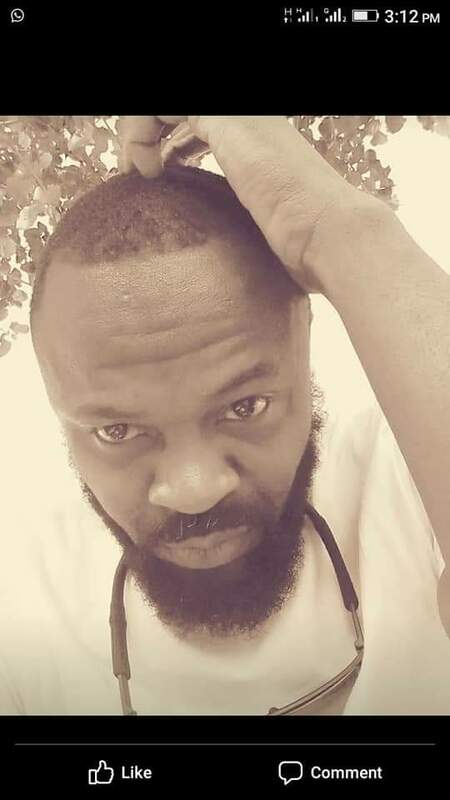 A man identified as Dogara took to Facebook to share the photos of his friend,Segun Onibiyo,arrested and detained by Kaduna police on the orders of Gov El-rufai.According to him,Segun who is a critic of APC is detained on alleged hate speech.Below is what he wrote…. 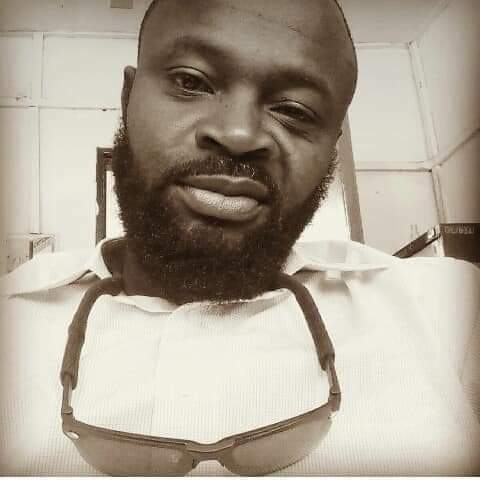 “A few minutes ago, it came to my attention that my young friend, Osmg Onibiyo aka SMG, a fiery AOP and civil rights activist got detained on the orders of a man who is more reckless with his mouth than any other sitting governor in Nigeria. 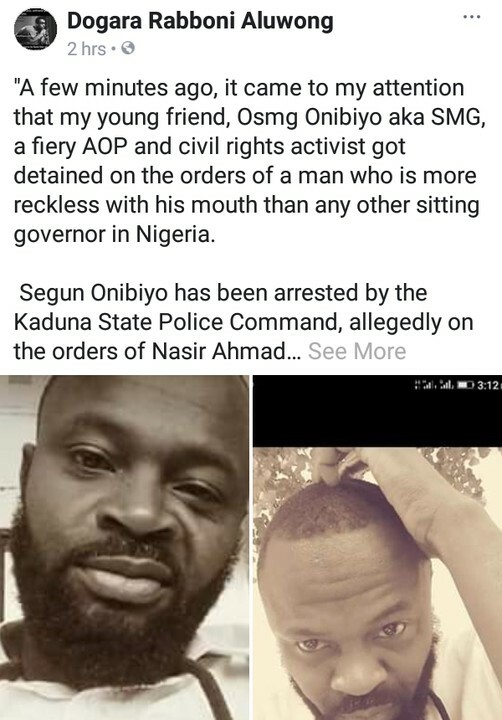 Segun Onibiyo has been arrested by the Kaduna State Police Command, allegedly on the orders of Nasir Ahmad El-Rufai, governor of Kaduna State, reportedly for “hate speech”. Just as I knew Governor El-Rufai for his vicious, strident, malicious, venomous and borderline inciting critic of the Goodluck Jonathan administration, I also know Onibiyo to be a persistent critic of the APC government. For all his poisonous vitriol against the PDP and President Jonathan, never once was El-Rufai’s liberty threatened. I hereby appeal to you, Mr. Governor, to accept that criticism, even vicious vitriol, comes as an inseparable part of the democracy package and must therefore be accommodated in all its forms and ramifications.